collection agency services can not only save you time and effort, but can also recover you the money that would otherwise not be possible. After all, you need to focus more on your core business rather than going after your debtors. By using the services of a debt collection agency, you can add more revenues to the company from the accounts that may otherwise have to be written off. When the file is given to the collection agency services for debt recovery, they usually require that you cease all communication with the debtor. This measure is taken to avoid any perception from the debtor that they can easily go back and forth between your business and debt collection service in order to avoid paying their debt. If you are interested in hiring one of these collection agency services, then you should check each one of them thoroughly. Whether they specialize in bad check collection, retail or commercial collections? 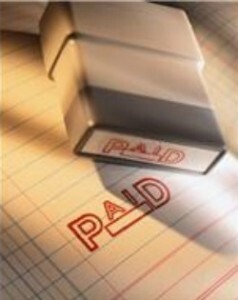 Do they have experience in collecting debt in your particular business?. These things do make a difference, so it is better if you can clarify beforehand. You should also ensure that the collectors working in the commpany are trained in dealing with the customers. They will represent you and often tempers run high in collections; just one bad conversation can have serious repercussions for your business reputation. You should also seek references, as good collection agency services will happily provide you with. As collections services employ different strategies to collect outstanding debt, you must make sure that you are aware and approve of all such methods. Each state in the USA has its own collection laws, so be sure that collection agency you hire is up to date on all current collection laws and regulations. Sometimes, when your accounts are behind on payments, you are going to have few accounts that may have “skipped”. This means they may have moved to some other place without leaving any forwarding information. Such skips can cost considerable money and time to businesses, so most collection agency services offer some kind of skip tracing service. Cost involved in such services may vary and normally depends upon the time and resources spent in tracing the debtor. One of the biggest tools that debt collection agencies use is the series of demand letters that they send out to the debtors. You can request the copy of those letters as this will help you in comparing different collection agencies on how they measure up. As telephone is their second most important way to communicate with your debtors, most of the collection agency services use different scripts while speaking with the debtors. By asking for such scripts from every collection agency, you can easily compare them against each other so that you can make an informed decision. Most of the debt collection agencies have their own websites where they list the services provided by them and various other details you might be interested in. So a little bit of research by going online will also help you in hiring the best collection agency.